The continent’s appetite and demand for poultry products is huge and still growing. Did you know that Africa’s population makes up more than 15 percent of the world’s population but contributes less than 5% of global egg production? The upside is also quite promising. As our population increases, and the size and earning power of the African middle class grow, the demand for poultry products is bound to put a lot of pressure on the already limited production. As a Small starter, the profit potential of this business will best be achieved if you are directly involved in actual poultry farming. Being only a middleman in this business may not be very rewarding. You should have to start with about 100 birds to minimize your risk and allow yourself to learn and gain the relevant experience before you expand your enterprise. Avoid the temptation to start off with a huge flock if you have no prior experience! Ensure your flock is properly housed in a safe and secure location. Restrict access to the flock and allow only the necessary people to gain access to the flock and absolutely no one else. Ensure you don’t mix your flock with birds from other flocks. If you started rearing a flock from the time they were chicks, please don’t introduce other birds at any point into that flock since they may be carrying undetected diseases. Ensure you have a set region where one can disinfect their shoes before entering the flock. This is not enough though. As a farmer, ensure anyone entering the poultry unit actually disinfects their shoes even if they will be entering for a very short time. Chicks appear to be fully mature after hatching but this is not the case. They lack the necessary means of regulating their temperature since they start to feather after around 12 days. This means they require adequate sources of heat at an exact temperature. Giving an exact temperature would be misleading since as they age, their temperature requirement reduces. At a day old, they require between 32-35oC ambient temperatures. This value changes based on the brooding method used i.e. Conventional brooding or radiant (infrared) brooding. Get this part right and your foundation is solid. Your mortality rates will be so low and it is not extraordinary for some farmers to have only 1-2% mortality in their flocks. Get this wrong and the mortality will be high in the initial weeks due to huddling as chicks try to keep warm. 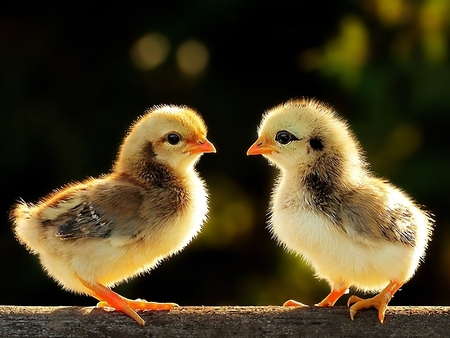 Cold-stressed chicks tend to be more vulnerable to diseases later in life and have a high tendency to die in later stages of their life due to heart attacks and other complications. It is also worth pointing out that chicks should be acquired from reputable hatcheries to ensure good quality chicks which have had their initial vaccines administered. All this seems to be easy yet difficult but worry not. In the next paper, we will take a look at the various ways to increase efficiency and ultimately profits for your business venture. We have just cracked wide open the solution to these problems and we will tell you more about it in the next paper. We strongly believe farmers shouldn’t get stressed and have to wake up at night to check on their flock. Please leave a comment below and share with our community on some of the highs and lows you have gone through in the poultry industry.